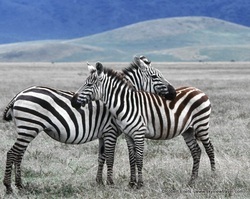 We arrange safari tours to Kenya, Uganda and Tanzania. Day 1: Arrival. Be met and transfer to Arusha for overnight stay. Day 2: Drive to Serengeti. Dinner and overnight stay. Day 3: Fullday in Serengeti with meals and game drives. Day 4: Visit Oldupai and the Ngorongoro crater. Overnight in Ngorongoro. Day 5: Depart for Zanzibar through Arusha. Day 6-9: Days spent on the island of Zanzibar. Day 1: Arrival. Be met and transfer to Nairobi for overnight stay. Day 2: Fly to Mara. Dinner and overnight stay. Day 3-4: Full day in Mara with meals and game drives. Day 5: Depart for Zanzibar through Mara.